PACH runs on small recurring donations from people like you. We can’t do this without your help! Please contribute one time or monthly! 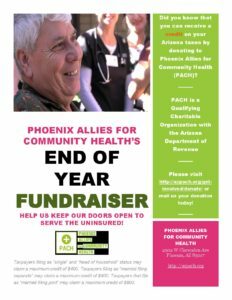 PACH is a registered 501(c)3 non-profit, and is a qualifying organization for the Arizona State Charitable Tax Credit. 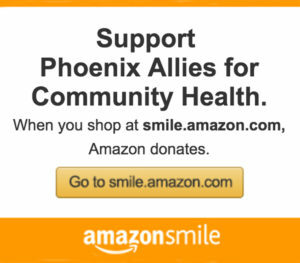 Set up your Amazon purchases with Amazon Smile and choose Phoenix Allies for Community Health as your charity. A portion goes to PACH at no extra cost to you! 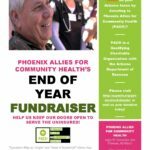 Support for Phoenix Allies for Community Health. When you shop at smile.amazon.com, Amazon donates. Many of our donors choose to make use of their bank’s automatic bill paying service to send us monthly contributions directly from a checking or savings account. This method of supporting our clinic does not incur the added cost of Paypal fees to our organization. Please inquire at your financial institution to set up recurring payments to PACH.